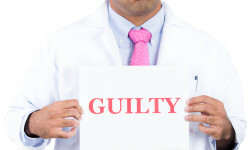 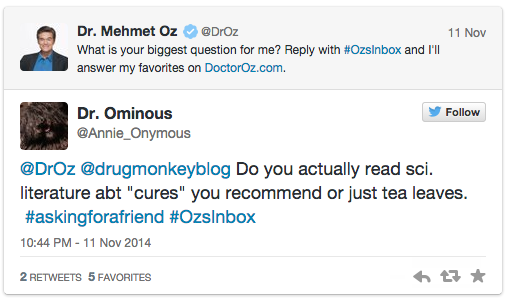 The Center for Accountability in Science | What Happens When Twitter Asks Dr. Oz Health Questions? 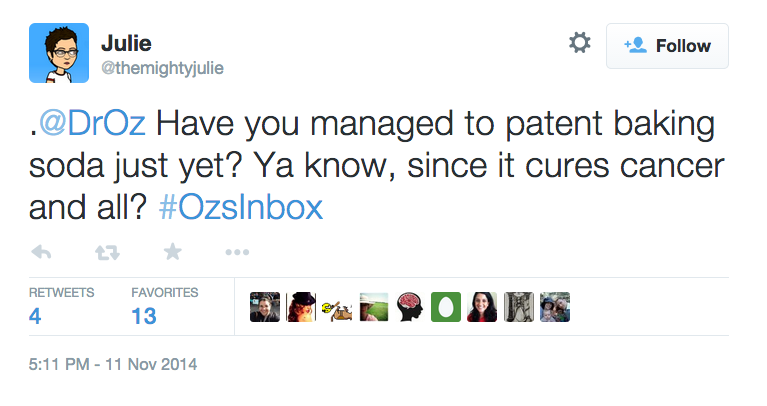 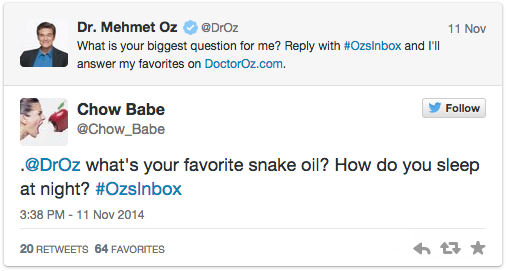 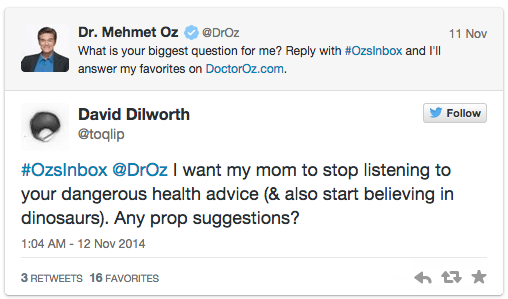 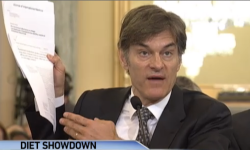 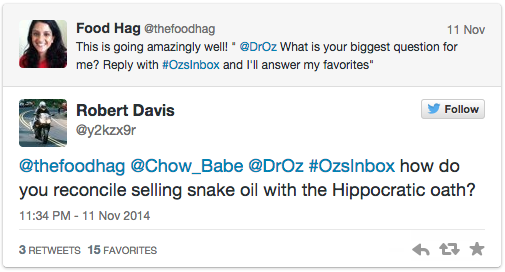 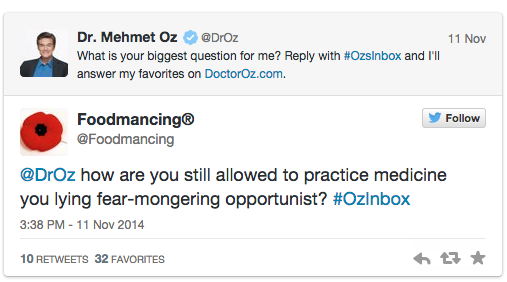 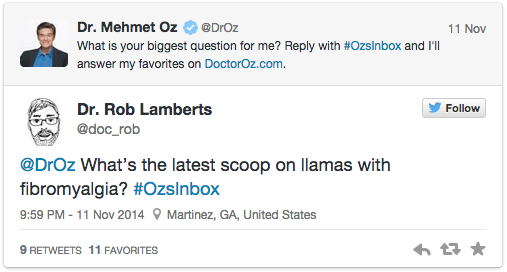 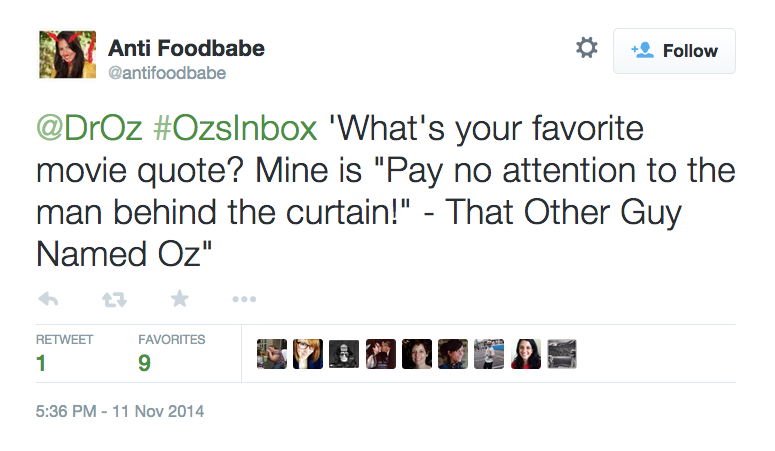 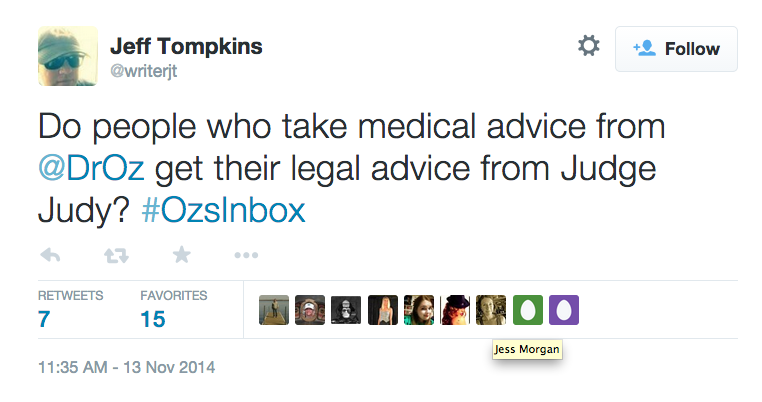 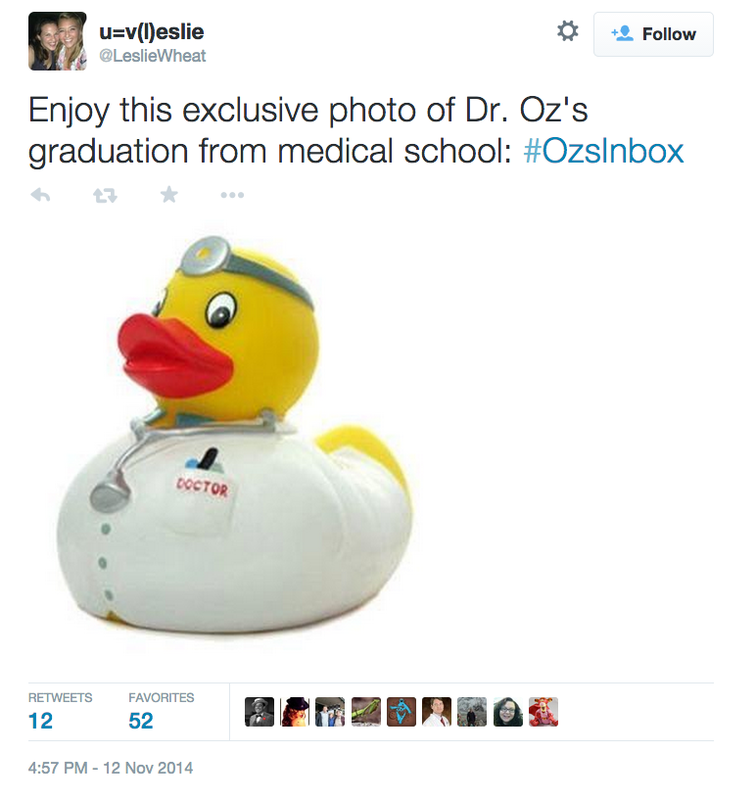 What Happens When Twitter Asks Dr. Oz Health Questions? 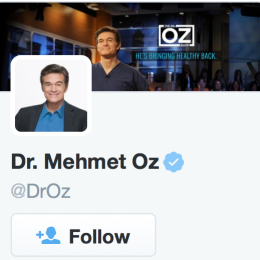 This week, Dr. Oz took to Twitter to answer questions from his “fans.” The results were quite disastrous for him, but quite comical for us! 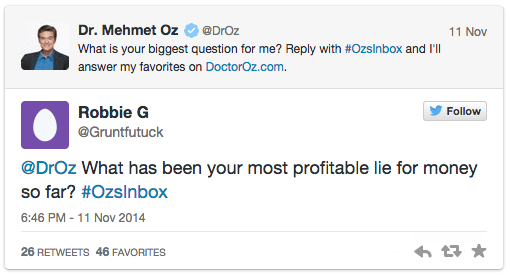 Lie for money? 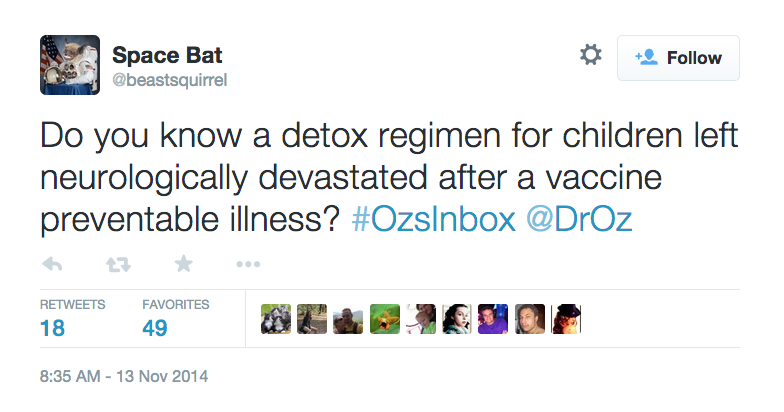 Would he really?? Should we all be wearing tin foil hats?